It's been a little while but I've passed all of my exams (yay!) and have also been given a gig on Valentine's Day (double yay!) which means I'll be singing/playing guitar to Every Rose has its Thorn by Poison in front of the entire school. 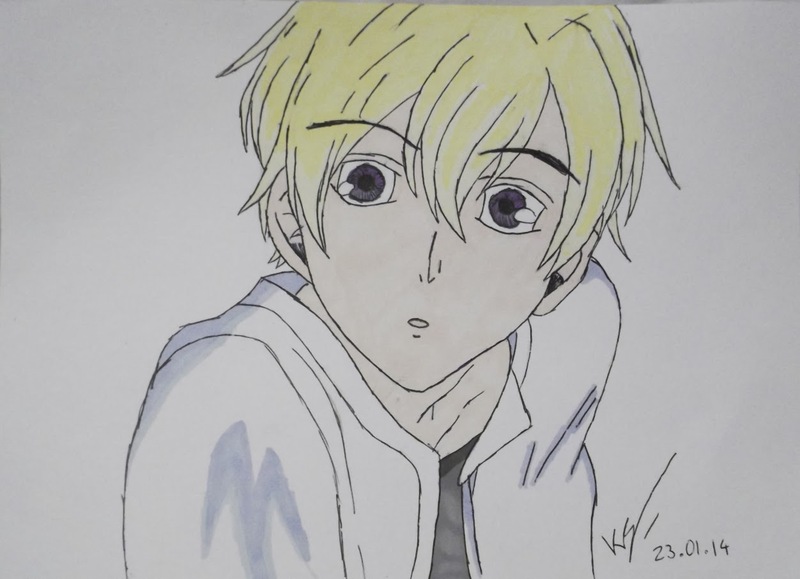 One of my best friends wanted me to draw them a picture of a manga character from a series called Ouran High School Host Club. The character's name is Tamaki Suoh and she is completely obsessed with the series (that may be my fault seeing as I was the one to introduce her to it). But without further ado, here's a rather astonished-looking Tamaki. My friend has also dragged me into writing a fanfiction with her which is geek heaven. It includes Hunger Games, Harry Potter, Doctor Who, Sherlock, Ouran High School Host Club and Sarah Jane Adventures.